Tenpin bowling can be played by anyone! Beginners are always welcome & coaching is available. Bowling is a wonderful way to meet people & make new friends. 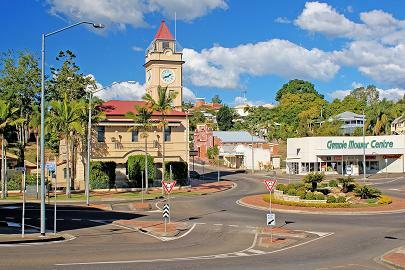 Gympie Tenpin has bumpers & light balls for the kids’ amusement machines’ air hockey & snooker tables’ a cafe & licenced bar. A great entertainment centre for all the family. Join a team. We have leagues to suit every one. Team spots are always available for children’ teens or young adults’ over fifties’ seniors’ and disabled. We also have a very strong Special Olympics Team. Having a birthday? Why not try a Tenpin Birthday Party. best of all we do the cleaning up! Wanting a work social’ group function’ team building exercise or even a hen’s night. 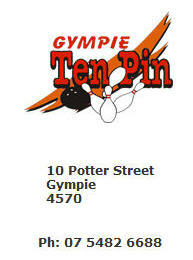 At Gympie Tenpin we can organise a package to suit your budget. Games’ platters of finger food. Let us organise your next function! Every Friday & Saturday nights the lights go down’ the music goes up. Bowl to the beat & watch the video clips on the big screen.There are games & prizes & fun for everyone. Check out our specials every school holidays and join our email club for great savings all year round.